It was only a matter of time... Humans have been trying to play God for too long, and now the bill has come due. In a testing facility, experiments have gone awry. Well intentioned doctors and scientists trying to extend the length of life by awakening the dead - have failed... The Dead have indeed come back - but not as they were before. They now take life...They are The Living Dead. Explore The Living Dead's "open world" environment. There is no maze - you must walk with the Dead, and make decisions based on the situation you are faced with. Will it lead to your freedom? Or something else... 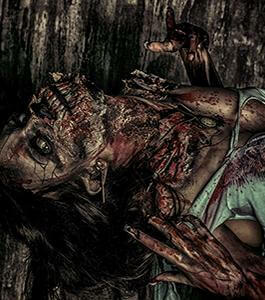 If you make it through the haunt try our new Escape the Living Dead Haunted Escape Room. 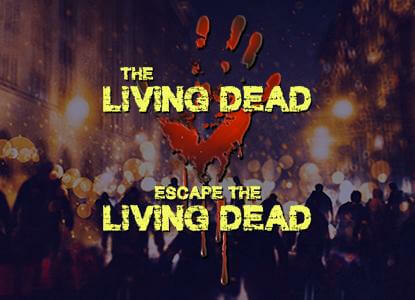 Escape the Living Dead is an Escape Room Experience like no other. You will be locked in a small room with a member of The Living Dead. Once the door closes, you will have 5 minutes to figure out how to get out, or well...Do we really have to explain? Do your part to stop the end of the world - or become part of it. 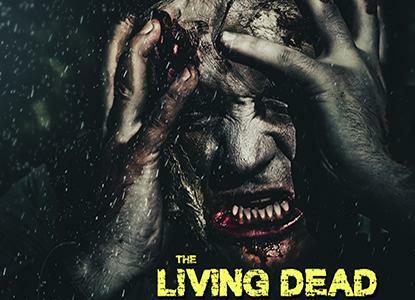 Will you go through The Living Dead with a group of friends? Friends who could ultimately slow you down? Or will you go alone, and try to survive the Dead on your own? 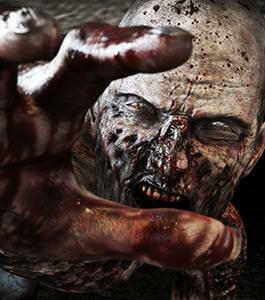 Will you survive, or become one of The Living Dead? 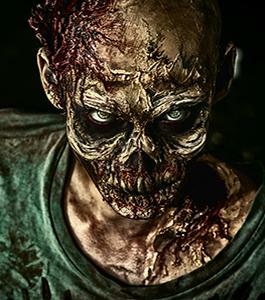 Open every weekend through Halloween, The Living Dead and Escape the Living Dead promises to be more than just haunt attractions, they might just be...Life Changing.